The first bloom of Augie Krupien’s Late Summer Fling opened for me today. 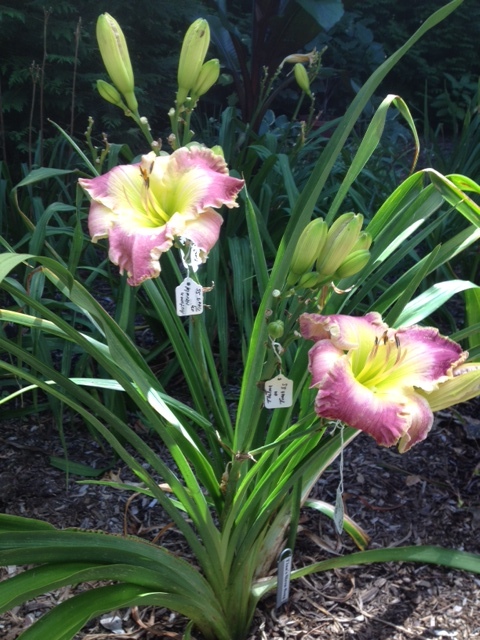 That bloom signals what we all already know: the daylily show is over and the garden is winding down. 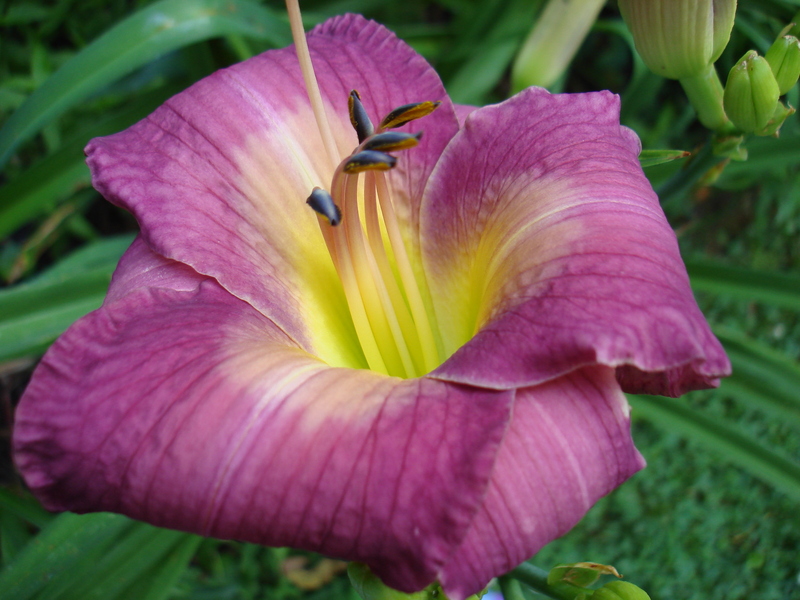 And yet, I am amazed by the lates that are currently blooming for me. First off is a large unregistered salmon beauty by Richard Daniel. The photo was taken on August 15. 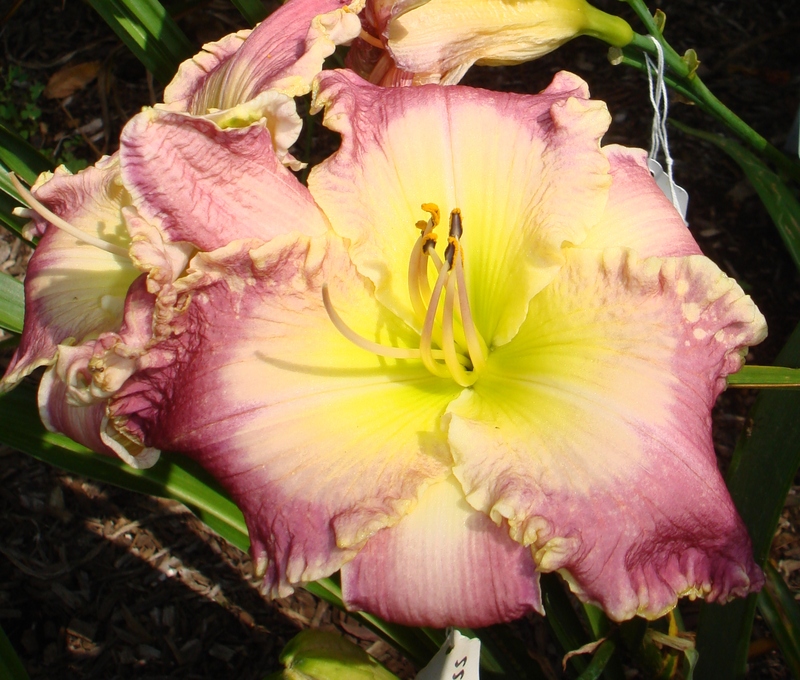 This robust late bloomer has been putting on quite a show over the last week or so, and has a dozen buds yet to bloom. Another beauty from Richard Daniel is Lori Shabtai. Now, perhaps I never gave Lori her due, as she is a sister to Tina Cotter and you can imagine where my allegiance lies. However, Lori begins her show as Tina retires for the season, and if I am not mistaken, even had some re-bloom this year. She currently has one scape with more buds, so the show goes on. 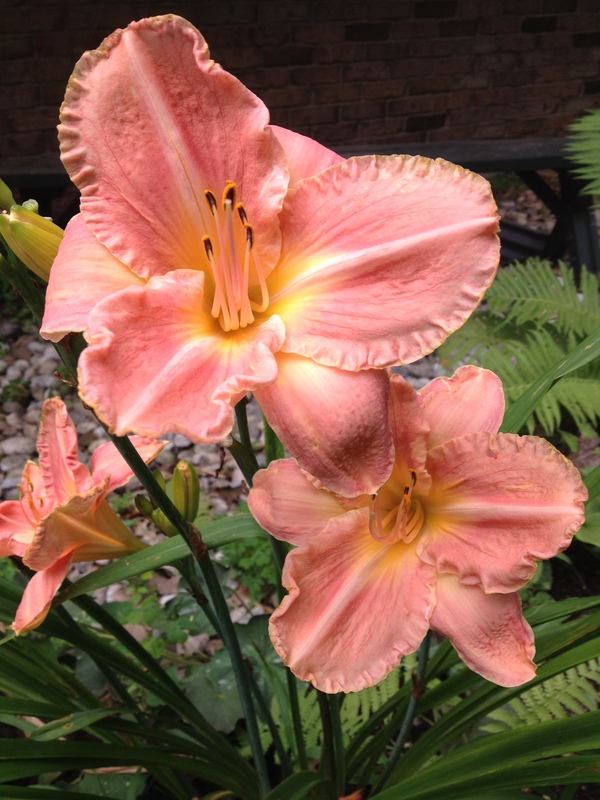 Another gorgeous late that has been blooming in my garden is Autumn Herald, a gift from Marifran Hiltz before she left her daylily paradise in Goshen, Connecticut for Tennessee. Marifran, thank you for your friendship over the years and for the jewels in my garden that you so generously shared! 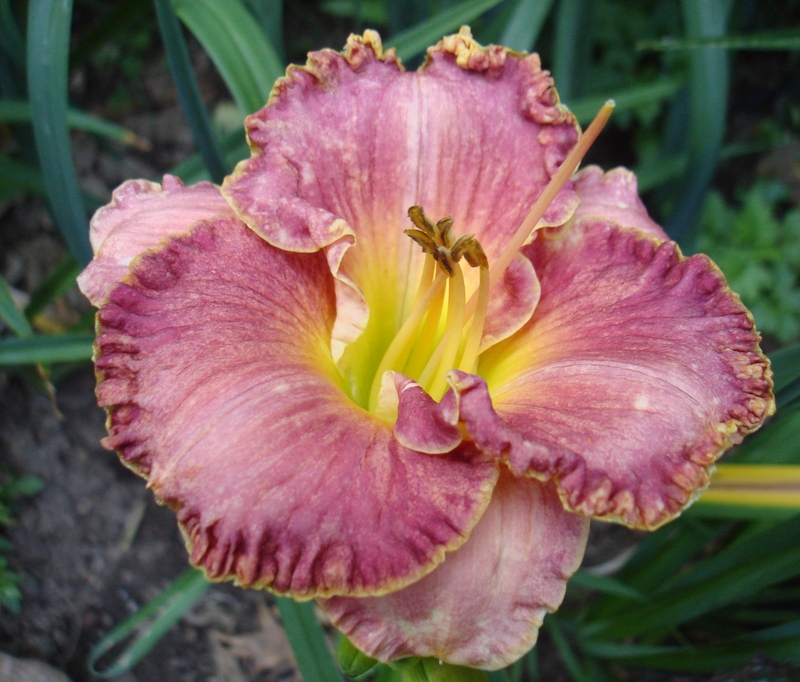 Finally, for those of you who remember when CDS arranged for Curt Hansen to name a daylily for me in honor of the Region Four Service Award I was honored with in March of 2011, it’s high time you met Tina’s Siren Song. When Cheryl Fox and I visited Curt in Ohio in late July of 2011, we saw hundreds of gorgeous flowers but none that spoke to me as “the one.” The lates had not yet bloomed, and I told Curt that my flower should be a late, as I would like it to be the center of attention when the big show was over. I also wanted the flower to bloom high above the foliage of a strong plant. Well, all my wishes came true with TSS! I have to admit that Curt chose this for me more than I chose it, but I trusted Curt when he said that of his new releases that year, this was the flower that made him think of me. The flower is frilly and pastel, but it is a tough plant with great plant habit. Tina’s Siren Song was spectacular yesterday with four huge blooms, but she began blooming the last week in July and has 14 more buds yet to bloom. So again I say, thank you Curt, and thank you CDS!